View of Chevron II, Point Richmond, CA. Still not completely finished but want to move on to other work so I’m posting this now. We returned to the trailhead area at the end of Crest Road, Point Richmond a week after our first visit. I chose a view to the left of last week’s painting but I struggled with the composition and the color much more this time and worked over the whole thing when I got home. 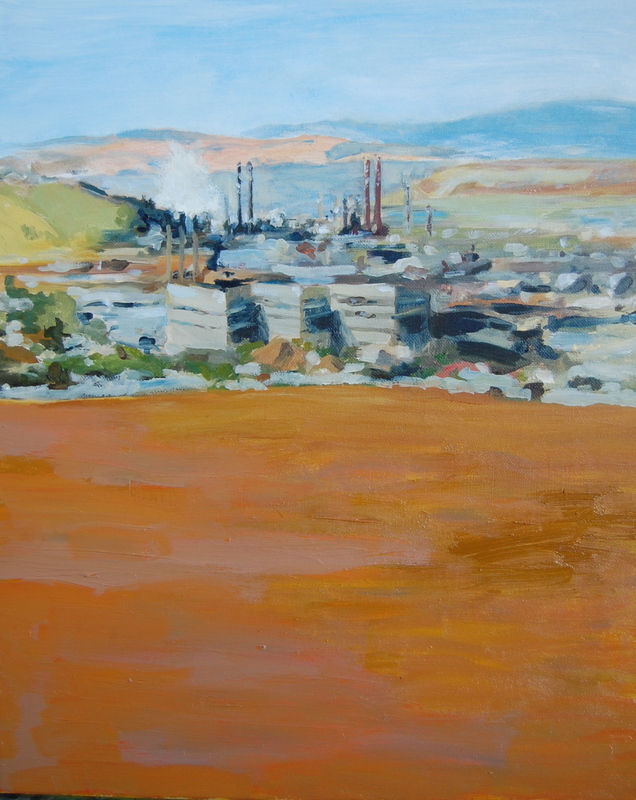 This entry was posted in Art Journal and tagged Chevron, Fran Osborne, landscape, oil, Point Richmond. Bookmark the permalink.